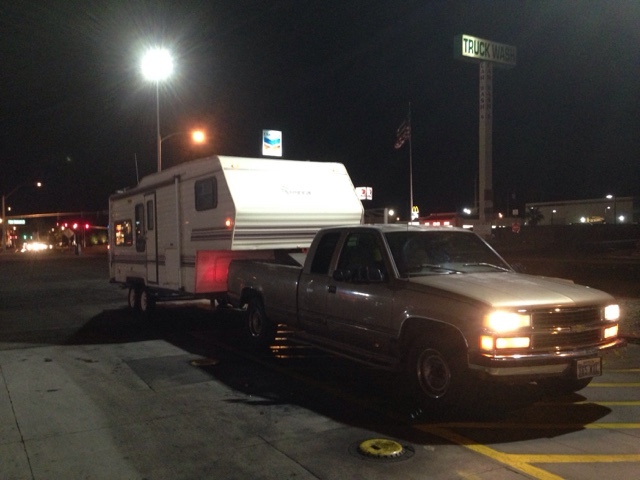 Right or wrong, I'm about as ready as I'm going to get so at about 9 pm last night I headed out of Vegas in my old truck and old 5th wheel RV. This was at the TA near the Silverton Casino. I went on to Primm and checked everything out. Looks like you've got everything you need right there. Looks really good.